It was another week of fantastic post’s linking up to #SharingtheBloglove and I was spoilt for choice on which posts to showcase this week. I don’t know about you but with all the attacks that are happening in the world, it makes me even more anxious and worried. I look at my girls and I wonder what world they are growing up in. I feel helpless and I don’t know how to protect them. This post ‘What a World We are Bringing Our Children Into‘, shares all my fears and worries. A brilliantly written post sharing thoughts and concerns that I know a lot of parents have. Mess and Merlot is a relatively new blog for me to read and now I seek it out. When I saw the title to this post ‘Mr Grey‘, I thought ooh where are we going with this. It went on to be a brilliantly funny post about finding a grey hair and I was laughing along and sadly nodding along too. When Laura started her blog she only used her girls initials when writing about them. She wrote a great post about trying to decide if she should start using their names on her blog and she went on to make the decision to share their names with us all. This post ‘R is for…‘ is the unveiling on her youngest daughters name. I love finding out the names of children and this is a beautiful post about a beautiful girl, who also happens to share a middle name with my Holly. This post by Laura titled ‘ First Year of Secondary School is Over’ is a lovely post written about how her son has flourished during his first year and that she has learnt to slowly take a step back, never easy for a parent, but one that has allowed her son to become the confident boy he now is. 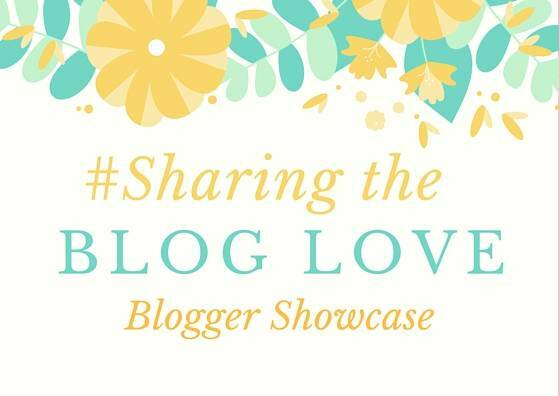 It would be lovely if you could head over to our featured posts and give them some #SharingtheBlogLove love! Great posts. Enjoyed reading them all! A lovely selection of posts. Nice how they’re all very different too. A really lovely selection of posts. I’m yet to find a grey hair but unfortunately did find a little bald spot! I love finding out kiddies names too, I completely understand why some keep their identities a secret but it’s lovely to know a little more about the families we read about regularly.